Why would I need self storage in West Haven, CT? There are a variety of reasons why you might need self-storage in West Haven, CT.
How much is a storage unit in West Haven, CT? The cheapest storage unit in West Haven, CT is $42.00 per month. What size storage units do you have available in West Haven, CT? In West Haven, CT we have sizes that range from 5'x5' to 10'x30' to suit your storage needs. How much is it for a 5'x5' storage unit in West Haven, CT? The cheapest 5'x5' storage unit in West Haven, CT is $42.00 per month. West Haven is a mid-size coastal city in New Haven County, Connecticut. As a bedroom community of New Haven, the city is a popular home base for city commuters, including those with jobs in New York City. Geographically, it's relatively small at just over 10 square miles, but it manages to fit plenty of amenities within its borders. Early settlers to the land that is now West Haven came to the area in 1638, officially purchasing the land from the Native Americans in 1645. Originally, the entire area was called West Farms and was used for farming and cattle pasture. Fishermen, farmers, herders and oystermen resided in small, simple huts throughout the area. During the American Revolution, the area was an important location that saw the departure and arrival of many raiding parties, both American and English. Over the decades, West Haven tried and failed many times to become an official city. Citizens' efforts weren't successful until 1961. Despite the fact that it's one of the oldest settlement sites in the state, its late incorporation earned it the nickname "Connecticut's Youngest City." Today, West Haven is an urban city that's far different from the farming community it was in the early days. Despite its urban characteristics, West Haven is one of Connecticut's most scenic cities. It's located along the state's shoreline, offering extensive sandy beaches that are a popular summertime destination for locals and visitors alike. As a West Haven resident, you can purchase a seasonal parking pass that makes beach access easy and budget-friendly. At the city's historic Bradley Point Park, you can take in scenic views of Long Island Sound. The park is located at the site of the 1779 British invasion, combining the city's natural beauty with its eventful history. Just a few minutes from the park, you can access the downtown entertainment district, with plenty of shopping and dining to explore. West Haven has also earned the distinction as an "important bird area" by Audubon Connecticut. Many rare shorebirds call the coastline home, and the area is a major migration route for several endangered bird species. Public schools in West Haven are part of the West Haven School District. You can find a few private schools in and around West Haven, most of them providing a parochial education to students. In terms of higher education, you can attend the conveniently-located campus of the University of West Haven, a top-ranking school in the region. Utilities: The United Illuminating Co. and Southern Connecticut Gas Co. are the central energy providers in the area. Water is distributed and billed by the South Central Connecticut Regional Water Authority. Garbage and Recycling: Your trash and recyclables will be collected on a regular basis, with the exception of a few major holidays. Transportation: CTtransit New Haven operates the public transit system in West Haven, with several routes providing a convenient transportation network. West Haven homes are fairly affordable when compared to the New Haven metropolitan area averages. The market in West Haven is stable, leveling out after a few price drops in recent years. With everything from compact rental apartments to large, single-family homes, the city has plenty to offer in terms of options. Our lowest priced units in West Haven, CT average $43.50 per month. 147 people have reserved units in West Haven, CT in the past 30 days. 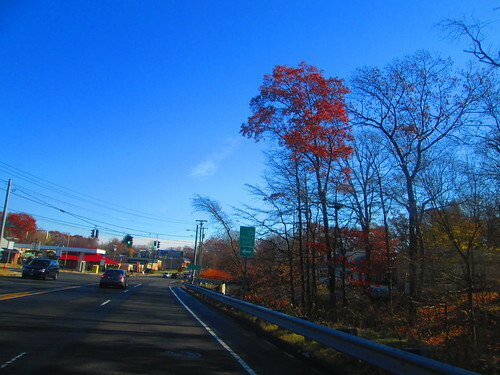 There are 2 locations within West Haven, CT's city limits. There are 2 locations in West Haven, CT that offer AC and Heating features.